The weather finally turned this week. The 10 day forecast has no snow and no temp going below 39°F. 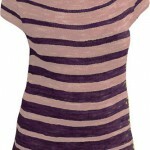 I even picked up a few new tops with three quarter length sleeves – something I couldn’t dream of wearing this winter. 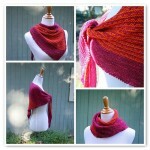 Same goes for my knitting plans – out with the thick cables, cowl necks and layers for warmth. I’ve been faving designs on Rav and tagging them with the seasons I might wear them in (spring, summer, fall, winter) so I don’t miss them when that season comes rolling around. 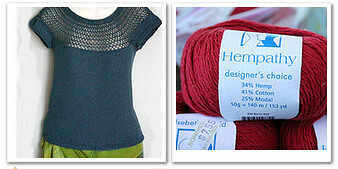 All too often I’d come across a cute tee in November and forget all about it when planning warmer weather knitting. I still have some tags to add to my older faves but here’s a link to my Spring faves. Another versatile top that would go from spring to summer. 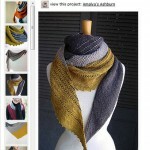 It’s top down-ish – you start by knitting a long scarf of the openwork and then pickup to knit down from there. Reviews of the pattern are critical of the lack of a schematic and numbers to check as you go. 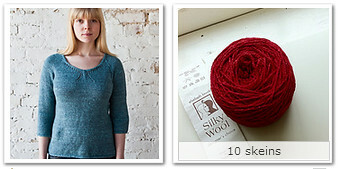 Both are manageable but good to know if you’re going to make this top. I always hesitate when an unusual design element like a drapey cowl is in the design because it’s critical that it’s done right. Looking through the FOs shows that the cowl looks cute even on real people without the help of a stylist to get the cowl to hang just so. Top down, simple styling with great details that give this top a little something extra. 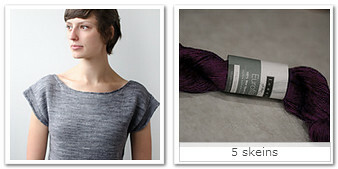 A simple tee with lovely accents – icord neck edging and eyelet ribbing. The pattern says it’s knit flat but I’d do it in the round. Five good options that if I start now I can actually wear during this season. Oh and if you’re curious about last week’s shawl I decided not to inflict all that stress on myself. Work is really busy right now and I want to enjoy this wedding – not dread it because I have a deadline. I picked up a red dress and wrap yesterday and I’m excited to wear my outfit. I like the Melissa Wherle design a lot! My personal coup de coeur is currently Whispers! 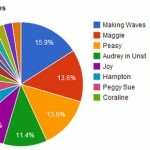 Veera’s Whispers? 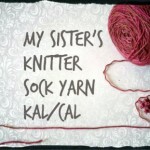 http://www.ravelry.com/patterns/library/whispers. I love the details on that too – the soft shirring is so pretty and feminine without being too sweet. Good on your for not stressing yourself out with a knitting deadline. it wasn’t going to happen so i short cut the drama. plus now i’m free to CO something for spring. Lovely spring designs! Thanks for sharing! 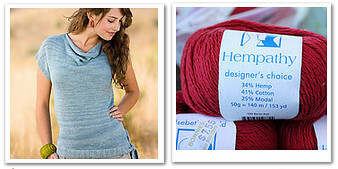 My favorite is Luxa can’t wait to see your future knits! I was all excited for Spring knitting, but today the temperature dipped and I had to dig out my thickest sweater. 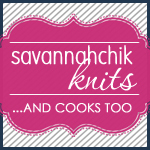 It sent me right back to looking for a good, thick cabled sweater patterns. 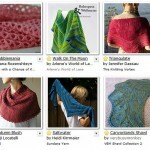 It’s funny how the weather can directly influence what we feel like knitting!